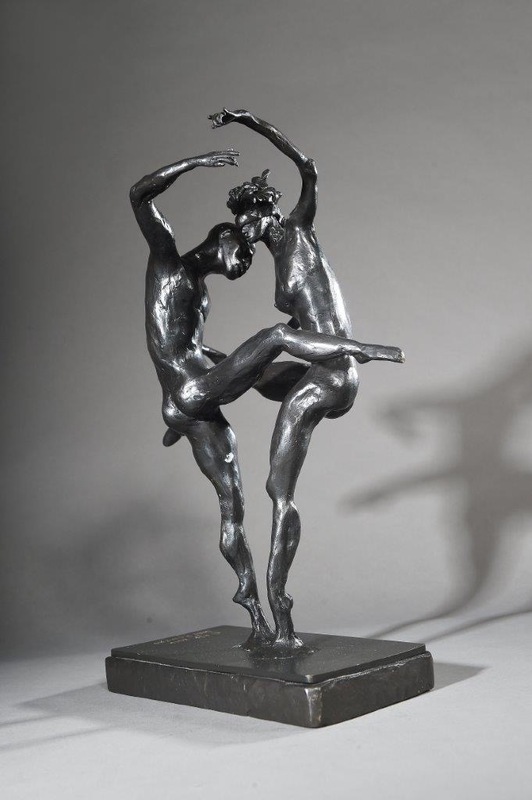 My wife asked me to create two dancers lovingly dancing with each other. She is blindfolded and he has his eyes closed. They are rapturously in harmony, dancing in the dark with each other.